Argentinean Javier Saviola was a forward who was nick named ‘the rabbit’ by his fellow countrymen for his petitie short frame (standing at 5 feet 6 inches only), being a fluid and acrobatic with his ball dodging capabilities. Although Saviola was born in Argentina but due to his ancestry he also holds a Spanish nationality and even briefly played for some Spanish leagues during the course of his career. In a rare move, Saviola became the most expensive teenager in soccer history when he moved to Barcelona in 2001. The Nike spokesperson took a hiatus from soccer in 2015 and now works as a coach for the Andorran side FC Ordino. Saviola hasn’t fully retired and still plans on resuming the soccer field if an interesting opportunity arrives in the near future. Javier Pedro Saviola Fernández was born in Buenos Aires, Argentina in 1981. Saviola grew up in the city where he was born and developed a strong passion for soccer. Many ruled him out due to his short height but he overcame this with his striking football driving abilities. At 16, he joined River Plate and by the time he hit of 19 Saviola had joined Barcelona FC from River Plate – for reportedly a heavy sum of €20m – and was playing soccer professionally. At Barca, Saviola scored 21 times in his maiden season. For Saviola it was a dream come true when he played along his idol Lionel Messi on the Argentinean national team from 2005 to 2007. During his time at the national team he broke Diego Maradona’s record for being the youngest player to finish the season as the top goal scorer. Saviola both started and finished his career at River Plate by amassing a total of 196 games and 70 goals during the course of 8 seasons. He played for the Argentinean side for 7 years and represented his country at the 2006 World Cup, the 2005 FIFA Confederations Cup, and the 2004 Copa America. At the 2004 Olympics Saviola won the gold medal. Saviola also represented his native side in the U-20 World Cup where he was the top scorer and was voted the best player. Saviola lead his team to win the U-20 World Cup and scored 11 goals in 7 games – he became the record goal scorer in the tournament’s history. Saviola left FC Barcelona in 2006 and a move to Real Madrid C.F. failed miserable for him due to injuries. After the injuries he eventually found his rhythm again at Benfica where he scored 19 goals and later joined the Portuguese league Cup playing for the for the next few years. He helped win Benfica the Portuguese League Cup in 2011. In 2013, he joined a Olympiacos F.C with a two-year contract. He retired in 2015, at the age of 34, and joined FC Ordino as assistant manager. 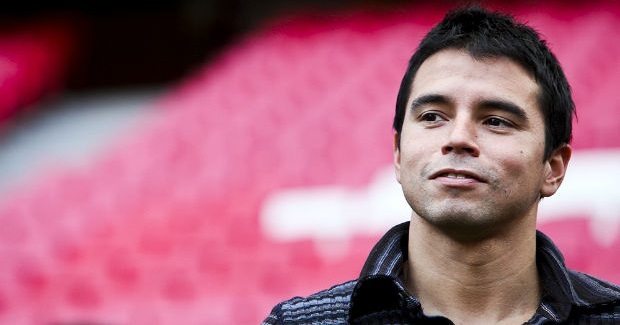 Javier Saviola has the honor of being in Pele’s FIFA 100 List of 125 greatest living footballers in 2004. Apart from this he was named as the South American Footballer of the Year at a young age of 18 only.